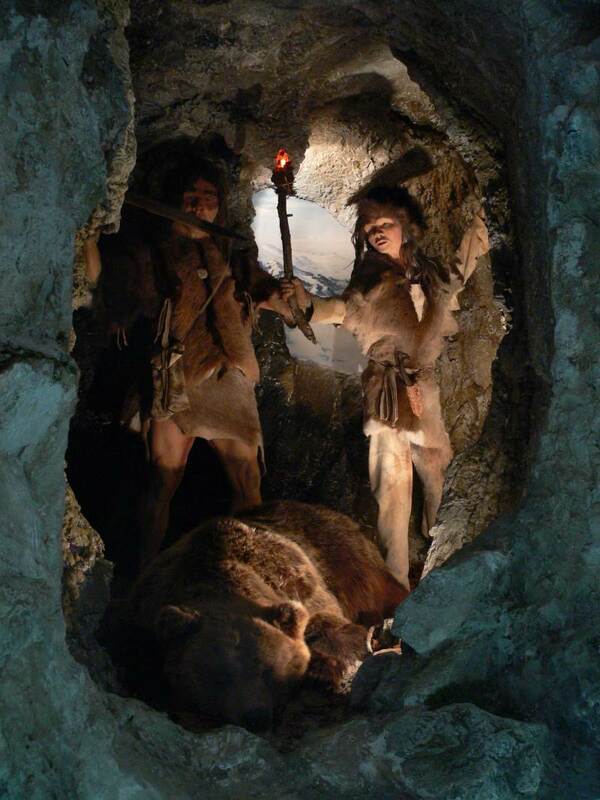 Two Neanderthals prepare to thrust a spear into a hibernating cave bear. 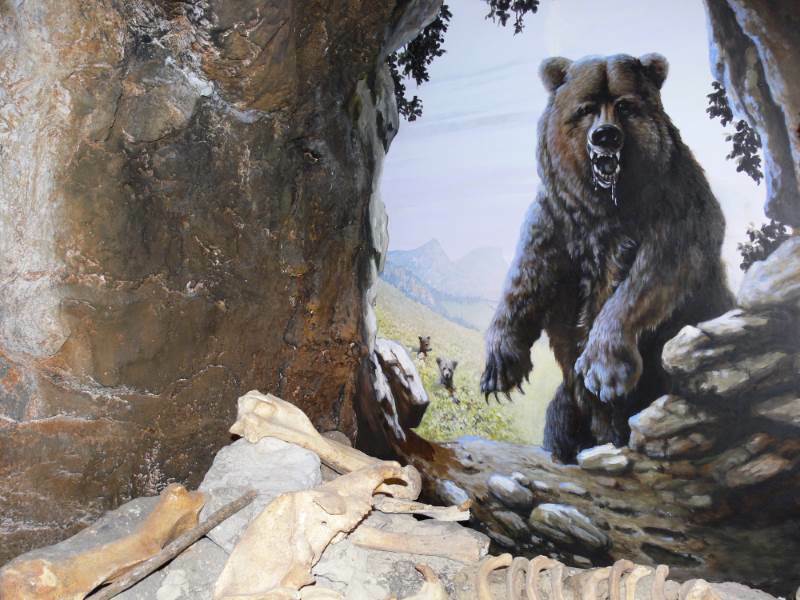 The bear cave is not there to educate visitors about caves but rather to convey the atmosphere of a bone cave. Both bats and stalactites have a place. There are also traces left by pre-historic man. So the cave has been widened to create space for an interesting compact ice age exhibition. The 47,000 year old cut marks on the bones of the Siegsdorf cave lion are fascinating, as are the skilfully produced flint knives.